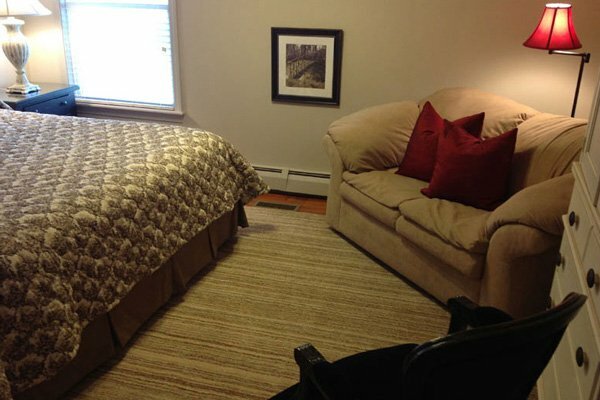 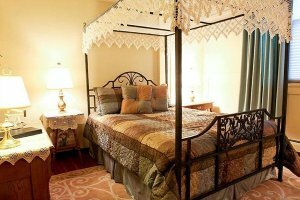 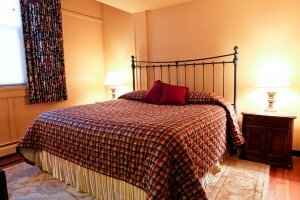 Located on the first floor, you will find yourself in a wonderful king-sized bed with custom bedspreads and warm wool rugs for that feeling of added luxury. All of the rooms are uniquely decorated and offer wonderful lighting and comfortable chairs that add an elegant touch. 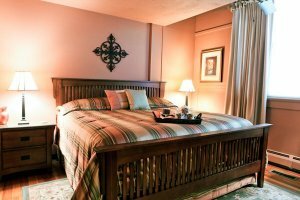 Each room is individually themed with matching furniture and rich, beautiful colors throughout for your guest room retreat.